Commission is the agent’s reward for a successful result, no sale for you means no commission paid to the agent. The agent’s risk when taking on your property is investing a large amount of their time and effort with no compensation if a sale isn’t achieved. It is the downside to being a real estate agent and an even greater incentive to work hard to make a sale. For this reason, experienced agents will seldom take on a property that isn’t saleable because of unrealistic price expectations. It could mean two months of hard work when it was clear from the beginning that achieving such a price was highly unlikely. Commission rates can vary from state-to-state and agent-to-agent. Some agents are willing to negotiate their commission in order to win your business. While this may appear to be a good thing, sellers should be wary. The best agent is rarely the one with the lowest commission rate. An experienced agent who has a good track record is unlikely to reduce their fees so do not be deterred. An agent offering the lowest commission may end up costing you more come sale day. With less in their pocket, you need to ask yourself if they will go the extra mile when it comes to negotiating on your behalf. Test an agent’s negotiation skills, it will give you a good indication of how they will discuss pricing with buyers. Are they willing to stand firm or are they quick to undersell? A fair way to negotiate commission is to offer the agent an incentivized scale. This means the more your house sells for the more the agent is paid. What Should an Agent’s Commission Buy You? An agent should help you to present your property in the best possible way. Be sure to ask whether they think something needs updating, repairing or removing. If any work is required, your agent may be able to recommend the appropriate trades people at a competitive price. The agent will help you to decide on the best possible marketing campaign for your property, this should be a tried and tested approach that they know will attract the greatest amount of buyer interest. The agent is responsible for booking the advertising space, arranging professional photography and copywriting, designing ads for you to proof and submitting them to the paper or uploading them online. Ask your agent to take you through a detailed marketing campaign and budget plus in the event of an early sale, ask at what stage can ads be pulled and your money refunded? The agent should be present at open houses and private buyer appointments. They, or their team, should follow up with all buyers after every open house and promptly relay this feedback to the seller, in case a change of tactic is required. Ask about the timing and format for providing that feedback. The agent is responsible for sending out contracts to interested buyers, liaising with solicitors, banks, surveyors and building inspectors on your behalf. They must be prepared to negotiate price with buyers and work an auction room to achieve the highest possible price for you at sale time. Ask them how they plan to run the auction or the tactics they use when negotiating price with buyers, and discuss with them the range of their negotiation authority. 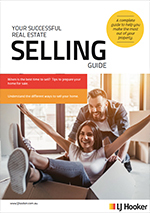 Once a sale is achieved, the agent needs to distribute contracts to solicitors, bank the deposit money, conduct a pre-settlement inspection with the buyer and finally, hand over the keys to the new owner.